Harry Potter is just a rip off. spoof confession. 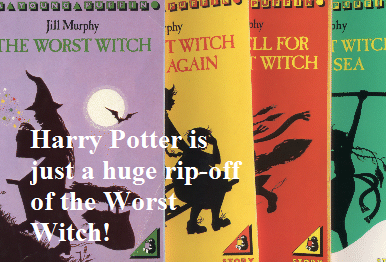 Wallpaper and background images in the Гарри Поттер против Сумерек club tagged: harry potter the worst witch rip off jk rowling spoof confession. This Гарри Поттер против Сумерек fan art might contain аниме, комиксы, манга, анимационные фильмы, комикс, мультфильм, and книга комиксов.